Download this to be able to access the Story mode in DEAD OR ALIVE 6: Core Fighters. Note: This content is only for the holders of the DEAD OR ALIVE 6: Core Fighters version of the game. (This content may be offered for free for a limited period of time.) ©KOEI TECMO GAMES CO., LTD. All rights reserved. Game contains In-Game Purchases With brand-new stages and action, DEAD OR ALIVE 6 embodies and illustrates the evolution of true fighting entertainment! For more information please visit the official website at https://www.gamecity.ne.jp/doa6/ . With brand-new stages and action, DOA6 embodies and illustrates the evolution of true fighting entertainment! 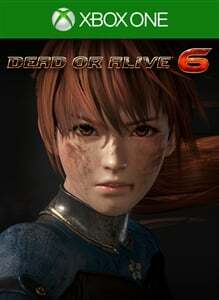 The free version of the newest installment of the leading fighting entertainment franchise - DEAD OR ALIVE 6! This is a free version which allows use of many game modes, including online matches. However, only a limited number of playable characters is available, and the Story mode will be locked. The remaining characters and the Story mode can be purchased separately as downloadable content.